With the Concrete Epoxy Color System, you pick what you need for your specific project, order exactly the right quantity of exactly the right product you need and then get step by step instructions on how to apply it. M.V.B 100 is a high performance epoxy primer system designed to reduce water vapor transmission. When applied to a properly prepped concrete, this improves adhesion to concrete surfaces where moisture is an issue and other high performance coatings have failed. Epoxy Flo 100 is a professional grade epoxy coating. It is a 100 percent solids clear epoxy that can be used for a variety of purposes, such as tinting with pigment for solid color floors, mixed with metallic pigments, used as a broadcast coat, or used for a topcoat. 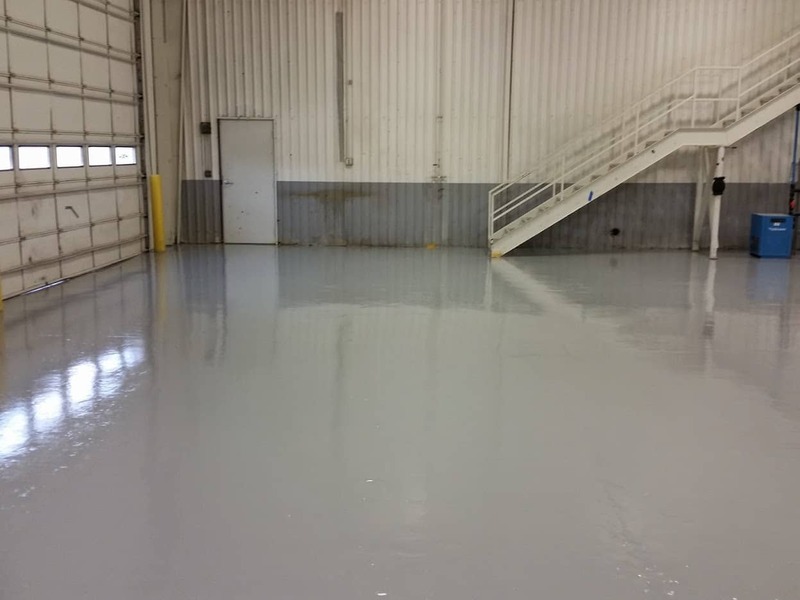 Covers approximately 100-125 square feet per gallon for the Epoxy Flake system (note, if you are using metallic Epoxy System this will affect the coverage area). Epoxy Flow 100 Pigment is a high solids concretrated tint system specially formulated for Epoxy Flow 100. The color pack is formulated with high quality, ultra fine particle pigments that easily disperse in Epoxy Flow 100. Use 1 per 3 gallon kit of Epoxy Flow 100. Poly 80 Slow is our new, two-component Polyaspartic Aliphatic Polyurea utilizing innovative nanotechnology. It provides a high gloss clear coating. Covers approximately 150-300 square feet per gallon. The Epoxy Tools Kit contains all the items you need for the Epoxy job so you don’t have to go hunting for everything. Save yourself some time! 3) Add a dilution of 1-Part Super Blue to 9-Parts water to floor to help open the concrete. 1) After the floor has sufficiently dried apply a coat of Epoxy M.V.B. Use a 3/8th Nap roller to back-roll the product. Concrete finishing jobs are relative to the job, and no two jobs are the same! Use the information provided above to select the products you need, then select “Add To Cart” and get everything you need for an Epoxy job shipped to your front door. Excellent top coat with great work time…up to 1 hour!